Freeman, a provider of brand experiences recently conducted a survey of 1000 professionals in B2B and B2C marketing across North America, Western Europe, and Asia. The survey discovered that brand managers, CMOs and event planners across nations are recognizing that sensory experience of a brand is key to building brand loyalty among customers. The results of the survey show that brand engagement is one of the most important parts of marketing. They also discovered that nine out of ten people surveyed confirmed that brand experiences have become a greater central part of their roles than ever before. And nine out of ten professionals believe that brand experiences offering strong personal interactions created greater levels of brand engagement. The reason that brand experiences are becoming an even bigger part of the marketing process is that the world has seen an evolution in audience expectations. 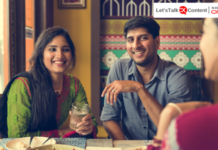 With changing technology, demographics and easy access to brands, customers are basing their expectations on the last best experience they had with a brand. This has led to a change in the strategies marketers employ and the amount they spend on creating this experience. Marketers moving ahead of the trend and getting in on immersing their audiences with the brand are taking advantage of interactive marketing tools including touch screens, virtual reality, location mapping, and gamification. Gamification itself is becoming a major part of modern marketing and even staff training. The three main engagement channels used by marketers to drive up brand experiences are websites, social media, and email marketing. The report showed that marketers in Asia particularly are moving quickly to adopt immersive and interactive technologies into their brand experiences. 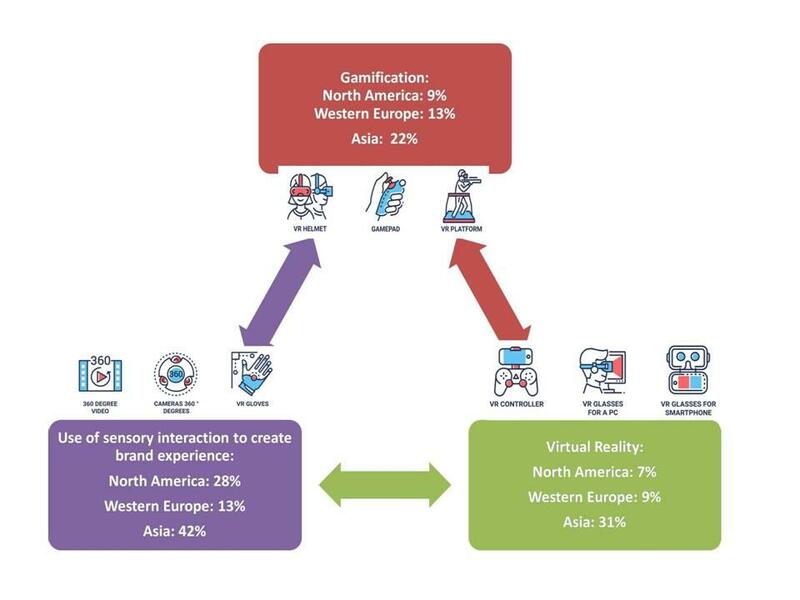 It was revealed in the study that Asian Marketers are way ahead of their North American and European counterparts in making use of sensory interaction like virtual reality and gamification to create a personalized brand experience for the client. 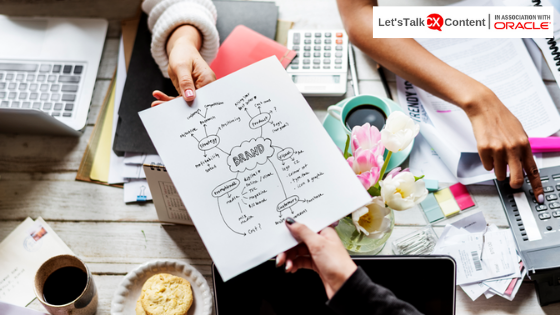 Every sector is seeing an increase in brand experiences, but there still seems to be a disconnect about the importance of brand experience when analyzing marketing roles within organizations. 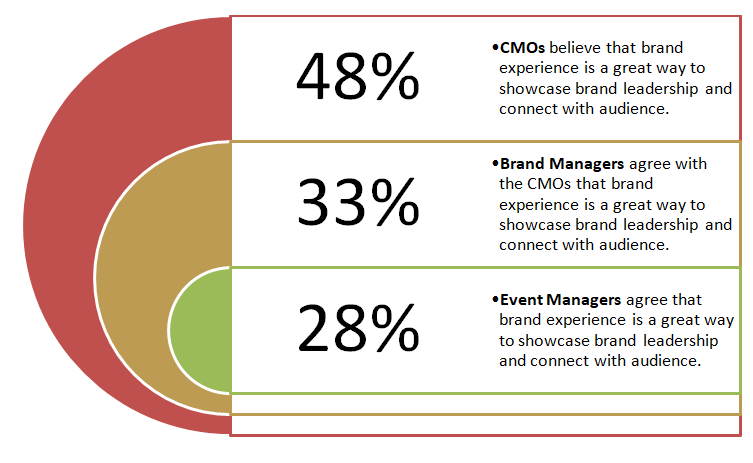 48% of CMOs see brand experiences as a great way to showcase their thought leadership and connect with their audience, but only a third of brand managers and just 28% of event planners are in agreement with this assessment. Over 58% of CMOs feel that creating a strong brand experience delivers a powerful impact on connection with the audience to the brand and increasing brand advocacy. 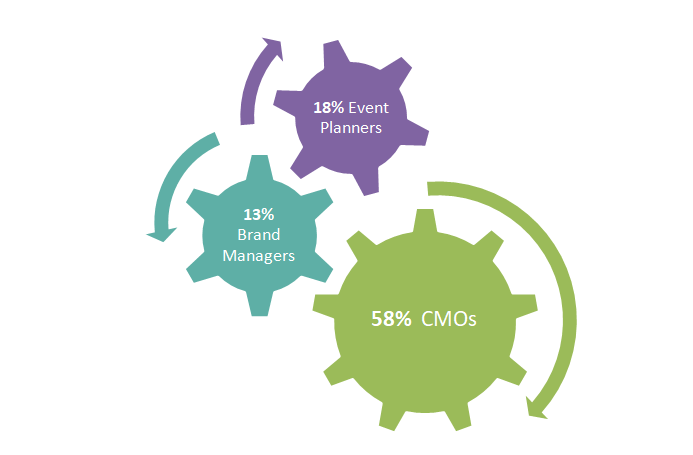 The disconnect with this opinion is even greater, as just 13% and 18% of brand managers and event planners respectively agree with their CMOs. It seems that it is up to CMOs to continue to tout the importance of brand experiences and get their contemporaries to agree. Every marketer in the world is cognizant of the need for the best possible experience each time, every time with their brand. But with every experience comes more data and with more data comes the responsibility to respect and protect the customer’s privacy. It is also a matter of importance that customer’s are concerned about how a brand uses their data. The recent Gigya study states that nearly 70% of consumers are concerned about how brands use their data. There is no specific Data Regulation Act in India; however, the IT Act (2000) has some provisions protecting a certain amount of data. A Data Regulation Bill was introduced in the Indian Parliament in the year 2006 but it still has to be acted upon. It should be stressed upon that the Government of India needs to think clearly and act fast upon passing a bill to protect the online avatars of the general citizen. With IoT, smart watches, connected vehicles etc, there has never been a moment in history where more data is being generated every second. But just because you as a brand have access to all this data does not mean it is yours to use, necessarily. As customer expectations continue to rise, businesses need to appoint a senior executive like the Chief Marketing Officer to deliver exceptional, end-to-end customer experiences. It’s a tall order, but if done right, enhanced customer experiences translate into loyalty, repeat business, and revenue. Read More: Should The Chief Marketing Officer Oversee The Whole Customer Experience? Learn how businesses can set CMOs up for success using four of Constellation’s primary business research themes, including Next-Generation Customer Experience, Digital Marketing Transformation, Matrix Commerce, and Data to Decisions. Previous articleAre You Ready For The Next Disruption?